Head over to Amazon where you can order one of the Project Mc2 S.T.E.M. Dolls Starting At $19.99! (Reg $25!) Shipping is FREE with Prime or on orders of $35+. Don’t have Prime? Try a 30 day FREE trial! 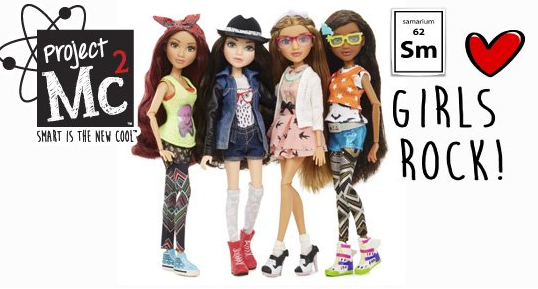 Project Mc2™ is a team of four super-smart and seriously cool girls who use their love of science and their spy skills as they go on missions for secret organization, NOV8™ (that’s “innovate”!). They’re real girls with real skills ready to take on anything!